You must keep up on your mortgage payments during the course of your bankruptcy and thereafter if you intend to stay in your home. If your intention is to keep your home and you filed a Chapter 7 bankruptcy, your mortgagor will send your attorney a reaffirmation agreement. Until your signed reaffirmation agreement is on file, your mortgagor may restrict your online access or “freeze” your account. When the convenient options you previously had to pay your mortgage are not available to you, it can make it pretty difficult to make a house payment. Regardless, the payment will still remain due and owing. Many of our clients feel as if their mortgagor is punishing them for filing for bankruptcy. That is simply not the case, they are just adhereing to the requirements of the Automatic Stay. If you filed for a Chapter 13 bankruptcy, your Chapter 13 plan will detail your intentions and you should be able to continue making your house payments as usual. 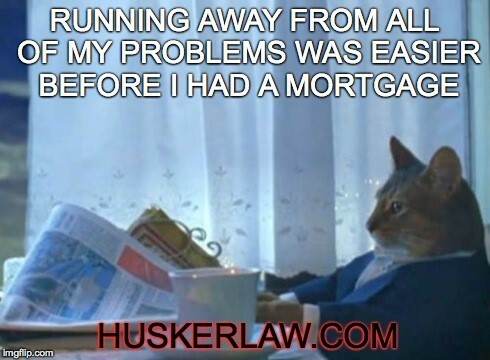 Contact your mortgagor and/or your attorney if you encounter any trouble making payments. Your attorney may need to give your mortgagor written consent to be able to contact (bill) you. If you fall behind on your house payments during the course of your bankruptcy, your mortgagor will most likely request relief from the Automatic Stay. This means that your mortgagor would like permission to begin collection, foreclosure and/or repossession processes in order to get you to cure your defaulted loan. 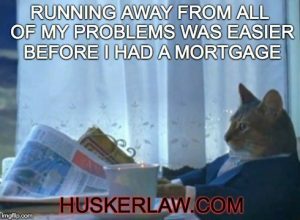 If you intend to surrender or give back your home in your bankruptcy, then you will not need to make mortgage payments. Otherwise, in order to keep it simple, just know that anything you want to keep, you must continue to pay.